Daryl Johnson (Worcester Park, United Kingdom) on 9 November 2009 in Architecture. A completely unseasonal series of photos, taken at Himeji Castle, Hyogo prefecture, back in April. Such a magical quality here . . a season fondly remembered and eagerly awaited. Magnifique ! jolie photo avec ces arbres aux multitudes de fleurs et ce palais derrière. A splendid view of a cultural icon. Spectacular! I would love to visit here in April. The April I was in Japan, I was sent to Nara Prefecture. So, besides doing the Path of Philosophy in Kyoto, I went to Hikone Castle which has about a thousand cherry trees around it. It was pretty spectacular too. @Steve Rice: I never visited Hikone castle, another famous one. That's also the original structure isn't it? Snow White could live here ! Superb and you make me wanna visit Japan so much ! 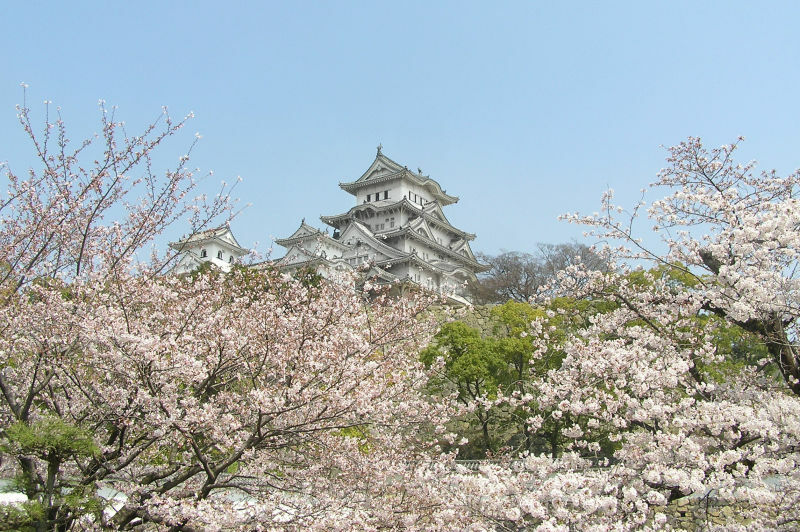 Yes, the four national treasure castles are: Inuyama-jo, Hikone-jo, Matsumoto-jo and, of course, Himeji-jo. All four are original. I made a point of seeing all four. They are all cool. I also went to Kumamoto to see the castle. Some of the turrets are original there but not the main building. It's an impressive place anyway. Conveys the feeling of Spring very well.